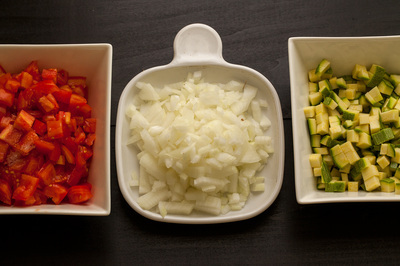 Marinade corn. Pull the outer husks down the ear to the base. Grab the husks, pop them off the cob and discard them. Strip away the silk from each ear of corn by hand. Squeeze juice of one lime over the corn, sprinkle some salt and one tablespoon of olive oil and put corn a side. Meanwhile, chop vegetables into a small pieces. 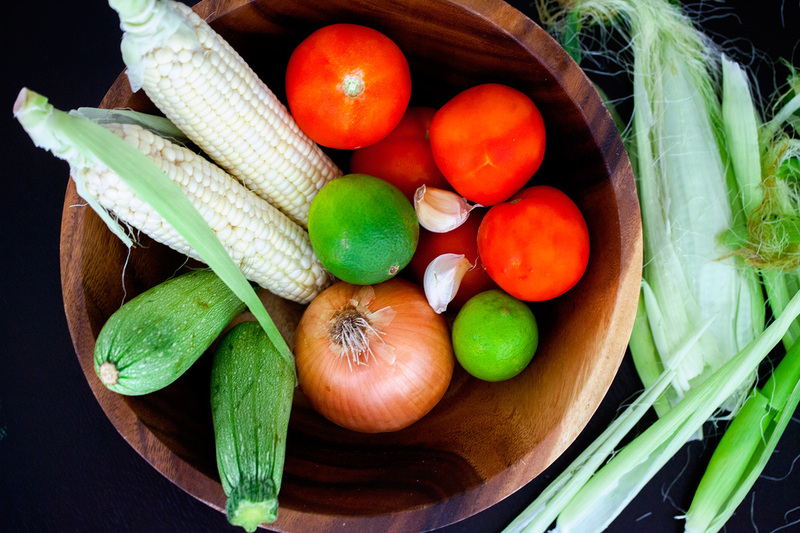 The size of each vegetable piece should not be more than 0.5 inch. Warm olive oil over medium high heat in a heavy bottom pot. 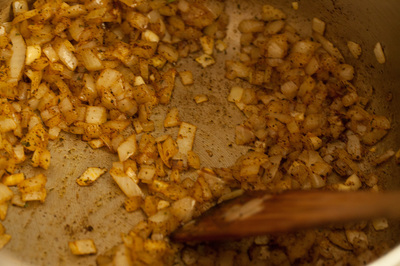 Add onion and sauté for 7 minutes. Add garlic *, chili and mint and cook for 1 minute, stirring. Add tomatoes, salt and continue cooking for about 10 minutes, then pour water or vegetable stock and bring to a boil. 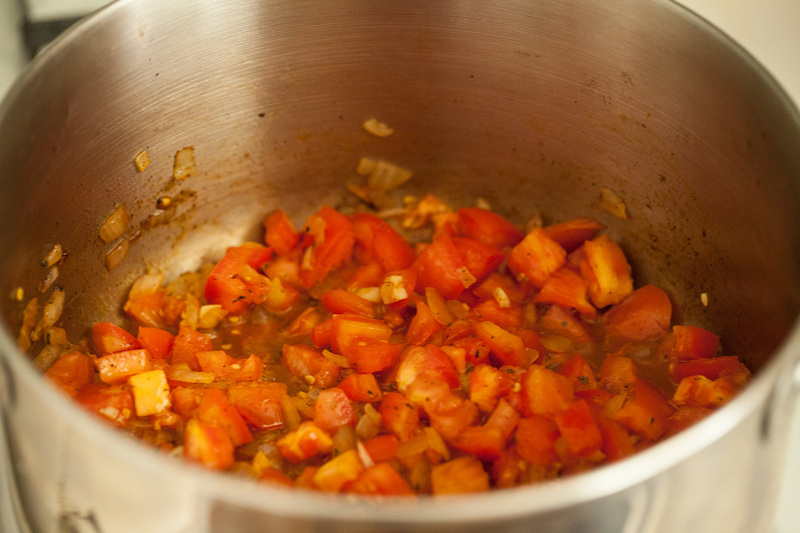 Add zucchini, reduce the heat to medium low and simmer for 15 minutes. Now it's time for the corn. 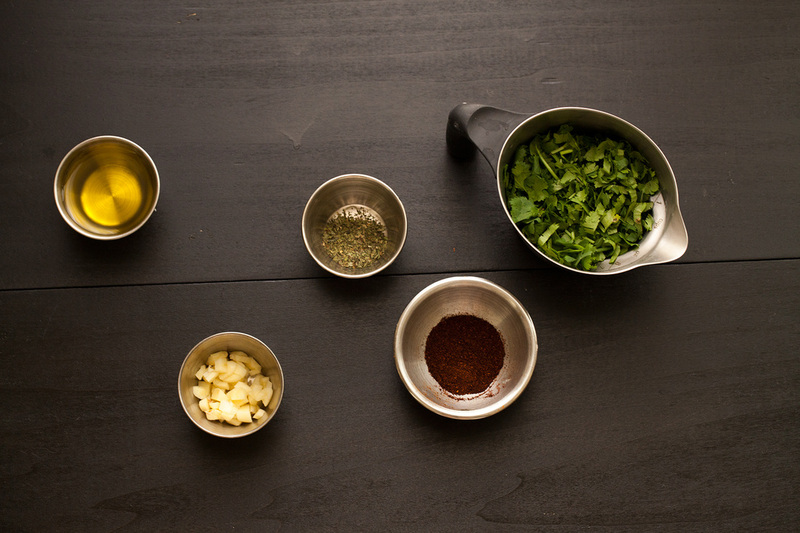 Heat the grill to medium. 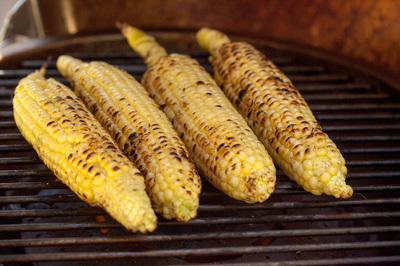 Place the corn on the grill*, close the cover and grill for 8 - 10 minutes, turning every 2 minutes or until kernels are tender. 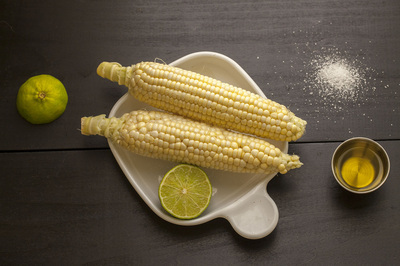 Remove kernels with a knife from the corn cobs. 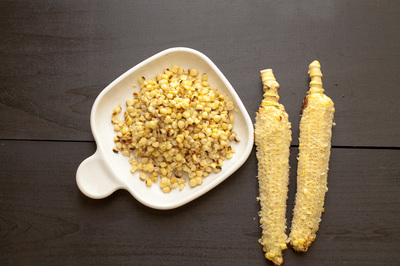 Stand the cob up on a plate or in a bowl and run the knife down and across the kernels, as deep as you can go. 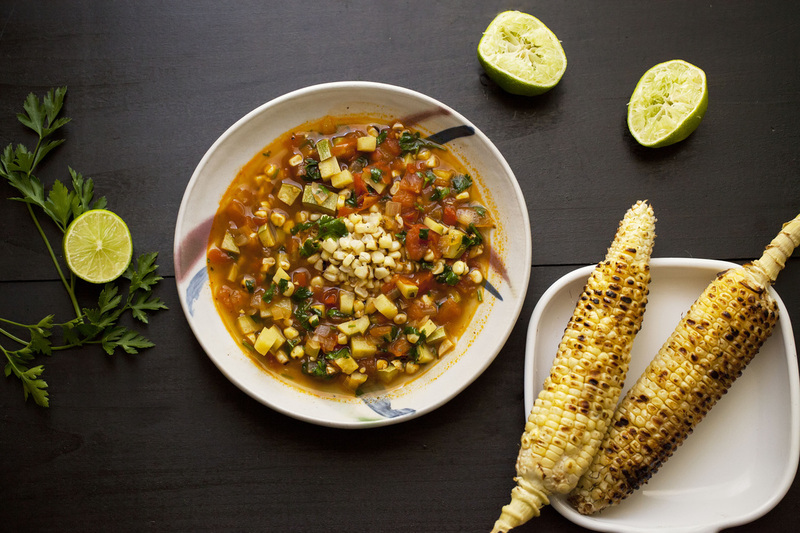 Add corn and cilantro to the soup and turn the heat off. Serve with parsley and lime. 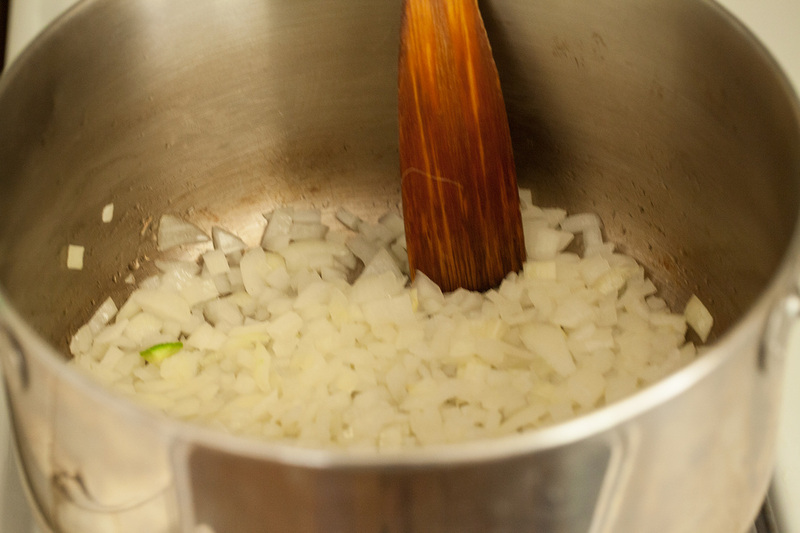 Tip #1: When cooking garlic, be careful not to burn it. The flavor turns intensely bitter, and you will have to start over. Tip #2: Grilling corn is easy. The trick is to not let it burn so don’t walk away from the grill once you start, at least not for too long.